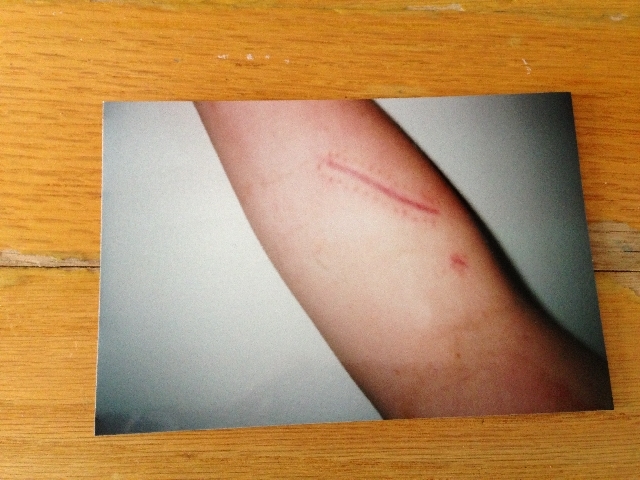 Several years ago, this scar would have topped my list of “things I’d like to change”. However, after a 30 second conversation with a co-worker, my life, and the aesthetic role this reformed gash in my arm played, were forever changed. The story begins here: It was a beautiful sunny morning in May, and I was excited to spend the day being my father’s son. As an only child, I split my time equally between being my mother’s daughter, and my father’s son. Malls, shopping, hair salons, health, beauty, and hysterical crying fits: Mom. Moving furniture, auto-repair, general building and grounds maintenance, fishing, and pay per view boxing: Dad. The goal for this particular New England morning in May was to haul my dad’s trailer to the town dump and unload the trash and debris into the special purpose bins. In our town, as you pull into the dump, your load is assessed by a member of the transfer station staff who then directs you towards a designated area that most closely aligns with the contents of your trailer. It’s like eHarmony, for trash. “You have mostly brush, so park in that last space at the end. The toilet needs to go all the way to the other side, in the first dumpster,” said our trash match-maker as we ascended the parking lot. My father backed the trailer into the small space in one shot, which I found amazing as I could barely back my tiny car into any sized space, no matter how large. We were ready to start hauling trash. As father and son, we developed a strategy and decided to move the toilet first, as it was already perched atop the sticks, twigs and brush, and had to be carried to the other end of the grounds – 12 parking spaces away. I wrapped my arms under the porcelain water tank, and my dad took the bowl. It was heavy, and I needed to take a break and set the beast down for a moment. We carefully inched our way towards the concrete barriers that ran along the perimeter of the bins where we cautiously positioned the toilet so we could rest and regain our strength. “CRACK!” As the toilet made contact with the Jersey barrier, it split completely in half, and the right facing side tumbled into the WRONG BIN. I leaned over the side, and watched as the half-toilet smashed into tiny pieces. Simultaneous to this action, the remaining side of the toilet fell across my out-stretched arms, and the freshly severed porcelain slashed my right forearm. I casually gazed towards my wrist, and thought, “Hmmmm. What is all this stuff on my arm?” It was a weird sponge-like substance I had never seen before. Turns out, it was the inner workings of my arm, which had sprung inside-out due to the gash. The bleeding began. 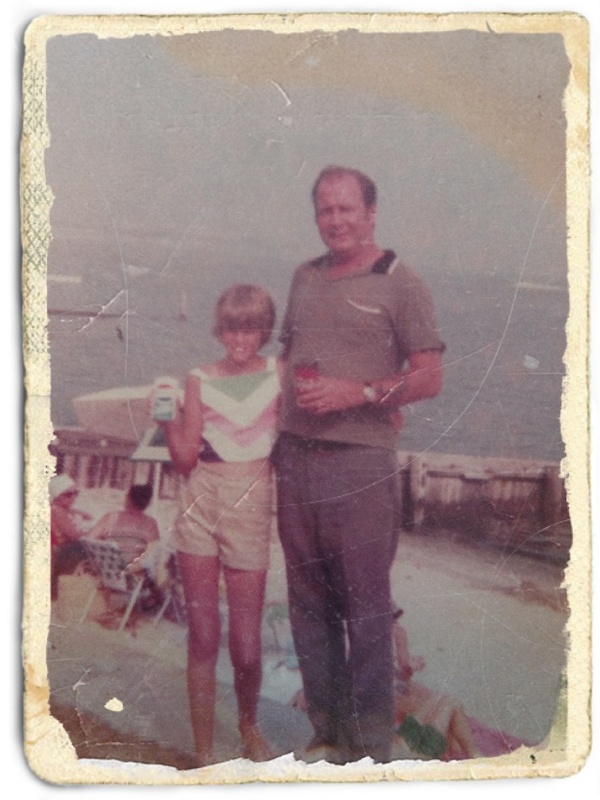 My father grabbed an entire roll of paper towels from the back of his SUV, unhitched the trailer, told me to get inside the car, pull my skin back together as best I could, and hold as much pressure as possible between the roll of Bounty, and the gash. I knew that if I became upset my heart would pump my blood faster, and this I did not want. My father and I made small talk on the way to the emergency room, and I tried to remember how to breathe as slow as possible. Forty stitches later, I was on my way home. We stopped at the place that starts with a “P” and ate ice cream. My arm was in bandages, but I was ok. My father retrieved his trailer, and my life went on. Because my arm was patched up in the emergency room, it was treated as a trauma event and dealt with expediently. In a nutshell, my appendage looked like “Franken-arm”. I was very embarrassed by it, and quickly adopted the habits of cutters and intravenous drug users; I began wearing only long sleeves even though it was now summer, and 100 degrees in the shade. And there it was… a simple statement that changed my mind, and won the academy award for the most exquisite part of my anatomy: my “scar on arm”. Now, I wear short sleeves and make eye contact with anyone who stares at the scar, just so I can tell them this story. Not everyone digs chicks with scars, so if you would like to see my arm, you can click here. Every picture tells a story, don’t it? And every scar is a story of bravery, even if a little stupidity may have precipitated the event… you were brave, and you were in the presence of a hero who looked a lot like a neighbor, friend, family member, doctor or nurse. Link your tale of woe to that hero, and give your scar new meaning. Good story. Making the best of it.